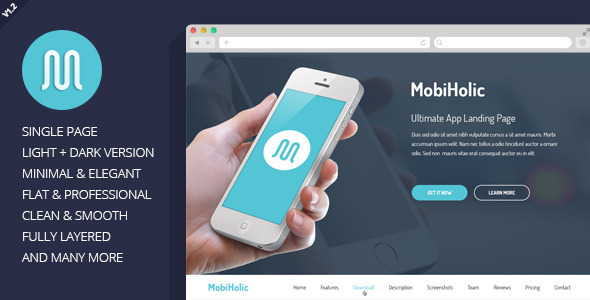 MobiHolic is a Professional Single Page Landing PSD Template with clean & modern design. It also can be ideal for creative studio or for portfolio. The PSD files are fully layered and easily customizable.